If you need help with a roof leak, water heater explosion, or any type of home flood, there is no one more skilled than 911 Restoration Atlanta and our Alpharetta water damage experts. The Alpharetta techs are ready for anything, and with their IICRC certification. Our team of water damage Alpharetta professionals have been in the industry for over 35 years. During this time it has made them value the importance of giving the people in the community the highest quality restoration experience possible. We know that a major part of that is being on the scene quickly. In order to facilitate a speedy arrival time, we keep our offices opened 24/7/365, allowing service agents to dispatch technicians to water damaged properties within 45 minutes of an emergency call. Even though the Alpharetta team members are trained in water extraction, it is helpful to be aware of how to prevent these leaks and floods before they ever happen in the first place. Keep good track of the hoses and fittings on your appliances that connect to the water main line. This will help to find any small cuts before they develop into large ruptures down the road. Gutters must be maintained every year to prevent water damage from occurring. This happens when a clog creates and overflow which can then inundate the roofing layers and separate them to the point of failure. Directing the downspout discharge point away from the home by at least five feet can make a world of difference in a heavy rain, and it may even save your foundation from liquefaction. Have an expert such as a professional plumber or a restoration specialist come and inspect your system for any obstructions that may cause damages down the road. 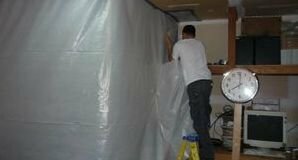 Don’t let your home fall victim to the effects of flooding, a pipe burst, ceiling leak, or any other means of water damage losses without help from our experts. 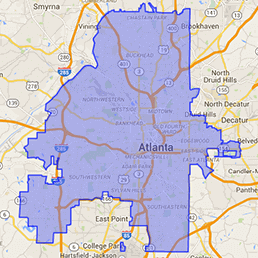 Contact our water damage Alpharetta team with 911 Restoration Atlanta for help today! We want everyone in the Alpharetta community to be able to afford ourservices, so we makes sure to always offer competitive prices and give free water damage estimates to all of our customers. We also make a huge effort to work with all major insurance communities, going even one step further and handling all the logistics of the claim process. Our Alpharetta staff is licensed, insured and bonded in order to protect everyone involved in the home restoration process. 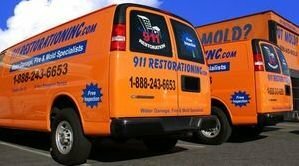 911 Restoration Atlanta operators are trained to the utmost degree, that way homeowners can get their home’s renovated and given back to them in pristine condition. If your home is already experiencing a leaky ceiling or some other type of water issue, then you need the most capable hands in the business to help you out. 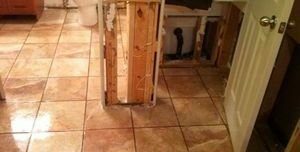 Contact the water damage Alpharetta experts with 911 Restoration Atlanta, so you can get a fresh start in your home or business and let us get you back on track today!